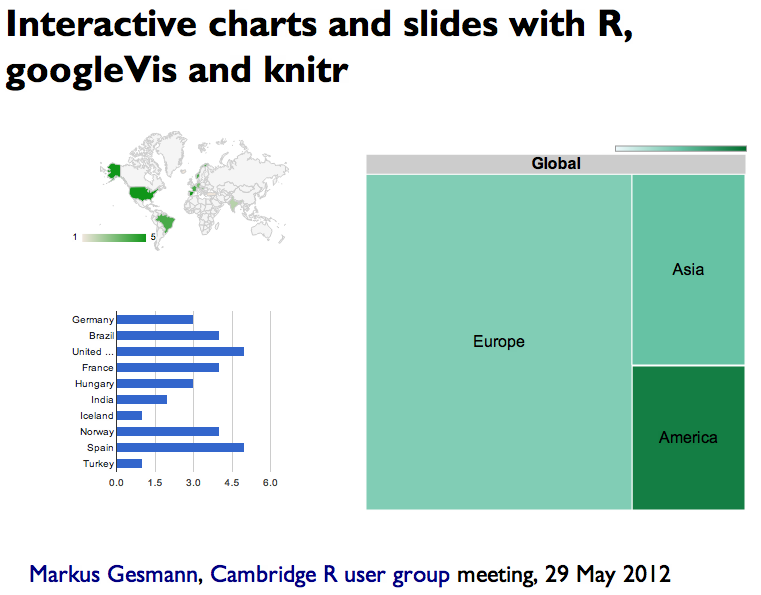 Tonight I will give a talk at the Cambridge R user group about googleVis. Following my good experience with knitr and RStudio to create interactive reports, I thought that I should try to create the slides in the same way as well. Thus, I decided to try slidy in combination with knitr and pandoc. And it worked nicely. Oh boy, knitr and Markdown are hitting a nail. With slidify by Ramnath Vaidyanathan another project sprung up to ease the creation of web presentations.